We have already discussed the success stories in our previous edition on successful Bollywood plastic surgeries. Now as promised I am back with some horror stories, where plastic surgeries went wrong. In a desperate attempt to look beautiful and glamorous, almost every actress have gone under the knife but not everyone is that lucky. Some of them were serious victims, as their surgeries went horribly wrong. 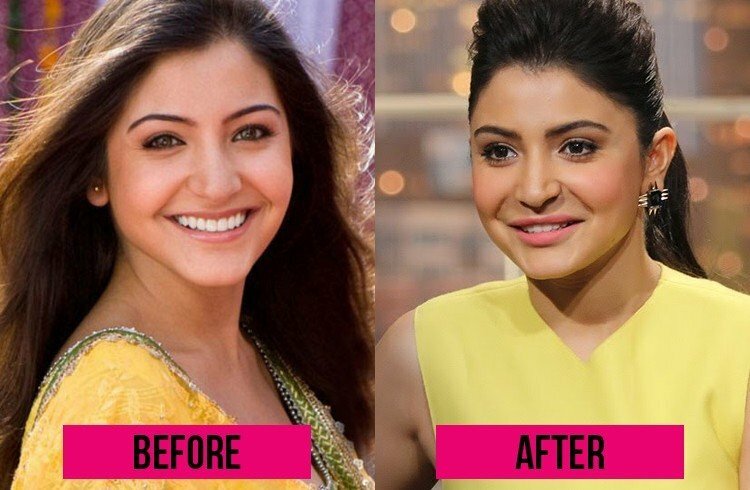 Let’s find out the Bollywood actresses, who were the victims of plastic surgeries! One of the worst victims of this technology is Koena Mitra. Her bone-chilling story of surviving a disastrous nose job due to which she had to pay off her Bollywood career is no more a secret. One bad decision ruined her life and career. The model, who had shimmied her way into Bollywood through her sensuous dance number and few hit movies in her basket, is now best remembered for her botched-up nose job, which is now a lesson to be learnt by many. Because of the side effects and surgery flaws, her face was so disfigured that it made it difficult for her even to smile. Even though she went on for surgical corrections, still the loss she already bore cannot be retrieved. 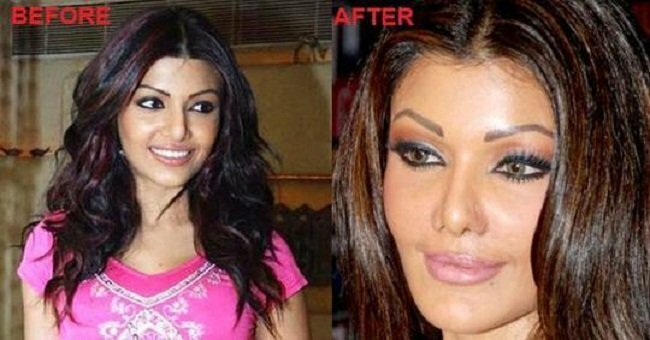 Here is the before and after plastic surgery of Koena Mitra. Rakhi Sawant is probably the loudest person on the earth, boasting about everything that she does. This attention seeker went under the knife multiple times for liposuction to breast implants to shaping the jaw line, nose job, and eyelid enhancements. Due to the plastic surgery, Rakhi Sawant looks more plastic. Bust interestingly, she is one of the few actresses, who have always been upfront about her plastic surgeries. In the popular TV chat show, Coffee With Karan, Rakhi had also said that a doctor can give you what God hasn’t. While few surgeries worked for her, others turned out be a nightmare. In one public event, it’s rumored that people didn’t recognize her because of her plastic face. All these expensive surgeries only landed her with a very not-so-real-looking look which even good makeup cannot hide. 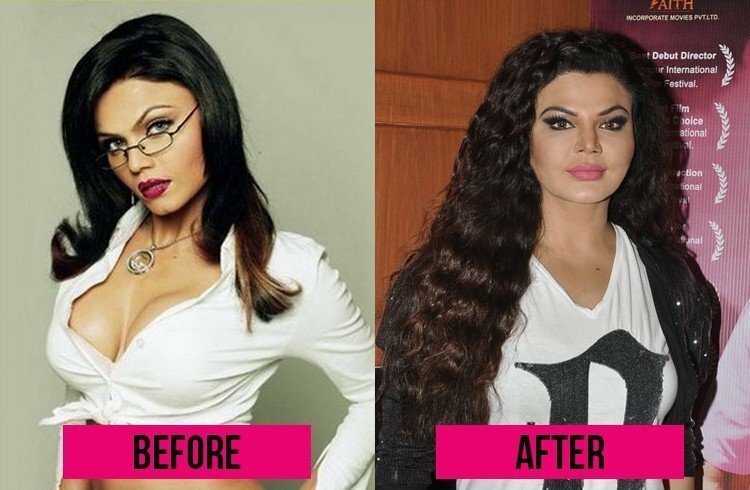 Let’s look at Rakhi Sawant then and now. While the image on the left is of her popular pop song ‘Pardesiya’, the latter is from a recent movie launch. I used to love this girl, when she debuted with Gangster. I used to admire her beauty. But seems like others, even this girl was not happy with her natural beauty. The actress underwent numerous cosmetic surgeries to enhance her assets and features. The lip correction, breast implants, nose job and eyelid enhancements were some of the beauty treatments that she adopted. Her face-lift, according to many seem to be a bad decision. She has a tighter jawline and a structured nose. Although it looks perfect but we still miss that innocent face of Kangana. Only one thing the actress should feel relieved of her investments are her breast implants, which now make her figure look fuller and proportionate. 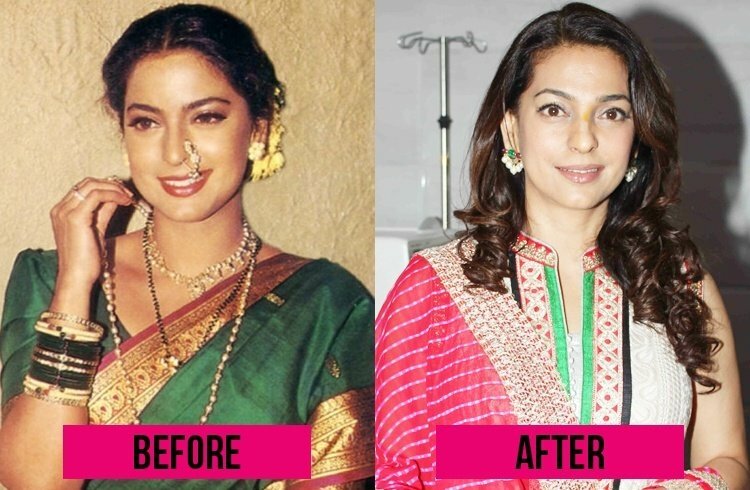 Although we didn’t want to include Juhi Chawla in this list, but her nose poked its way into the list of plastic surgery disasters. Juhi Chawla’s cuteness had no comparison in her initial career, when she used to be a strong contender for Kajol, Madhuri and Karishma Kapoor. In a bid to correct her nose, the actress just became another innocent victim of the technology. Apart from the bad nose job, the heavy botox has left her unable to retrieve the heart-felt smile she used to have on her face. In an attempt to chisel it, her doctor actually elongated her nose, thereby ruining her natural beauty forever. Here are her plastic surgery looks before and after. Even Bollywood’s Dream Girl couldn’t resist herself from joining this bandwagon. She looked ravishing in Bagwan and now when she is in her 60’s she still holds the charisma, making younger actresses a run for money. Even though she is a strict disciplinarian and regular with Yoga and dance classes, her aging skin compelled her to go under the needle. Even though the botox worked for her making her look beautiful than her age, she is really having some hard times to even pass a smile through her stiff facial muscles because of the side effect. Now this girlfriend of Virat Kohli seems to be either in the news for her funny duck lips or for her love life. 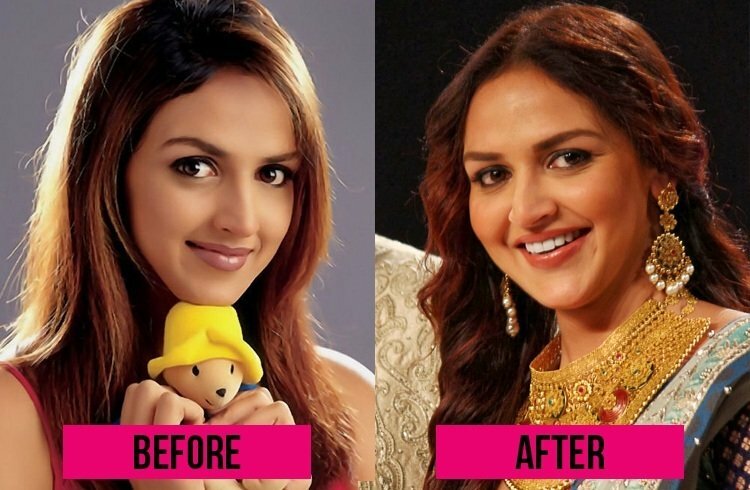 After a recent television show, it was pretty evident that this lady didn’t want to be left behind amongst the list of Bollywood celebrities who went for plastic surgery. Wow! Another pretty face gone bad after a bad plastic surgery. 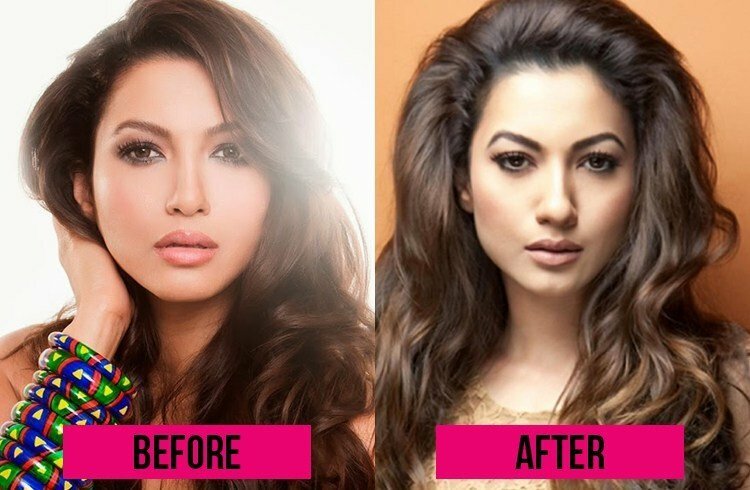 Now this might come to a shock to most of you that Gauhar Khan had to drop out from a fashion show because of her lip job that went bad. We are sure this Bigg Boss contestant regrets getting a lip job. Plastic surgery terribly gone wrong. 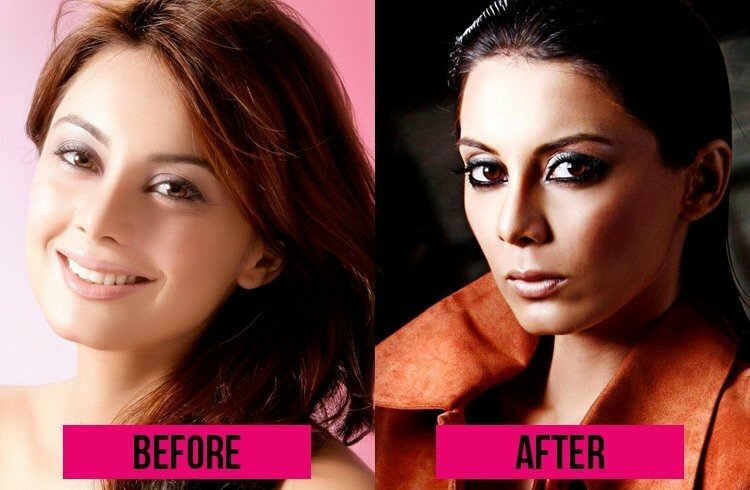 Another lip job disaster among Bollywood celebrities is Isa Deol. With this list on Bollywood plastic surgeries, looks like most of them are racing towards lip jobs primarily. We wonder what was on Shazahn Padamsee’s mind while going for a lip surgery. There were speculations about Vaani Kapoor’s lip and chin surgery when the trailer of Befikre came out. And while the actress blamed the French winter for her facial changes, we did not fall for it. 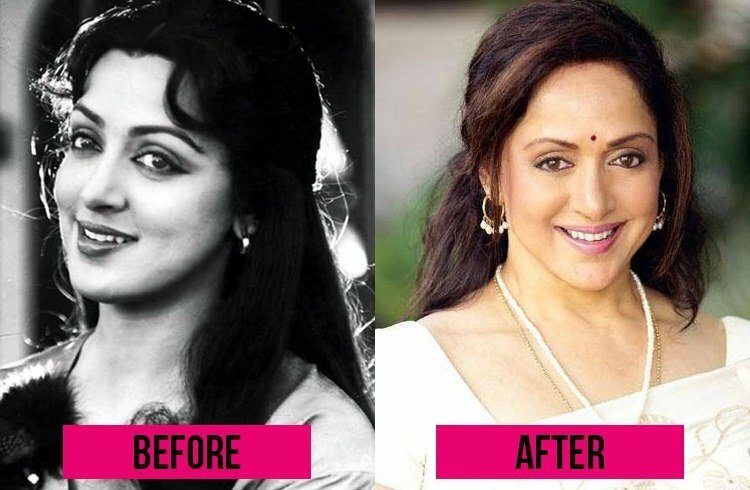 One glance at her old pictures and you can notice that the actress’s chin has been elongated and her lips are plumper. Also, her cheek bones look more prominent but that could be because of the drastic weight loss too. 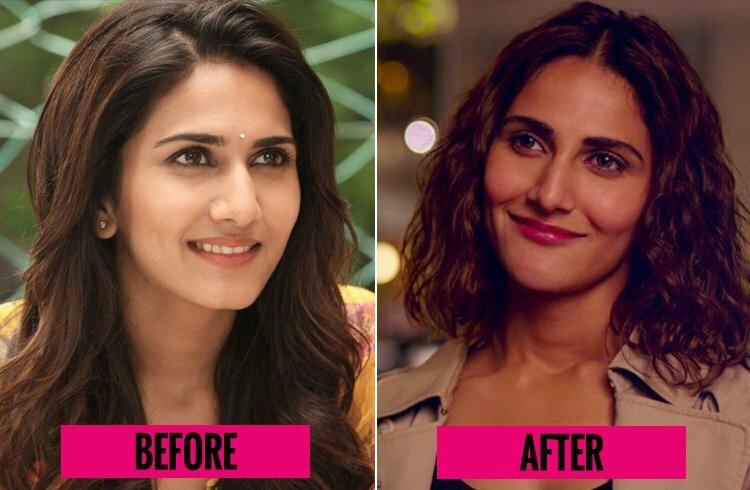 Vaani Kapoor plastic surgery was the talk on social media, with fans and followers giving her a big thumb’s down to her new look. As per the doctor, people approach plastic surgeons with some unrealistic expectations and almost everyone wants to look like Angelina Jolie. What people really forget is that the doctors are not God, who can create miracles with their natural features and faces. All they can do is try to correct the flaws, giving them a better version of themselves. When we asked him about the failed cases, he added further that people decide to go under knife only because of the influence and they do not decide practically. For most of the actress here, before photo is better than after photos.